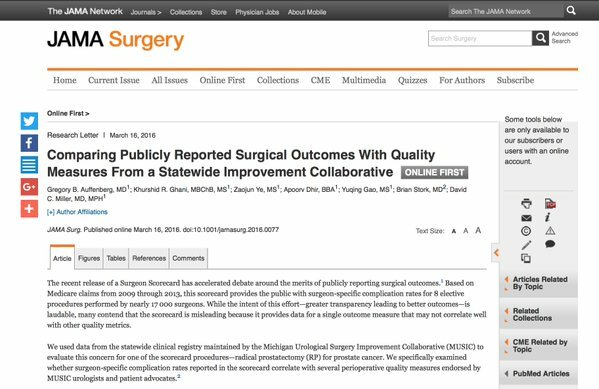 The April 2016 International Urology Journal Club on Twitter (#urojc) hosted a discussion on our paper, “Comparing Publicly Reported Surgical Outcomes with Quality Measures from a Statewide Improvement Collaborative”. 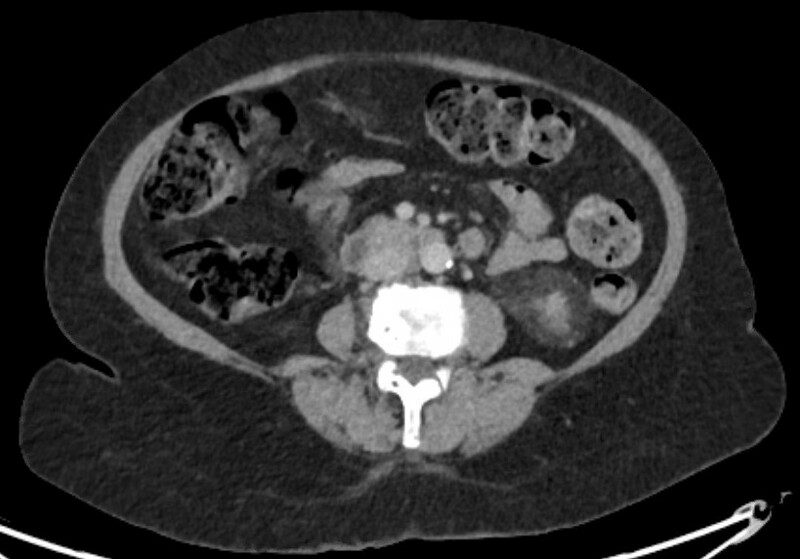 Published in JAMA Surgery on March 16, 2016, the paper was authored by Gregory Auffenberg MD, David Miller MD, Khurshid Ghani, Zaojun Ye, Apoorv Dhir, Yoquing Gao. I contributed as a member of MUSIC. For those not familiar, the #urojc Twitter chat is a 48-hour asynchronous conversation amongst urologists around the world on Twitter on a selected journal paper, taking place on the first Sunday/Monday of every month. The subject of our research centered on the online U.S. surgeon ratings compiled for ProPublica’s Surgeon Scorecard. ProPublica is an investigative journalism organization that was given exclusive access to U.S. Medicare data for the years 2009 to 2013. 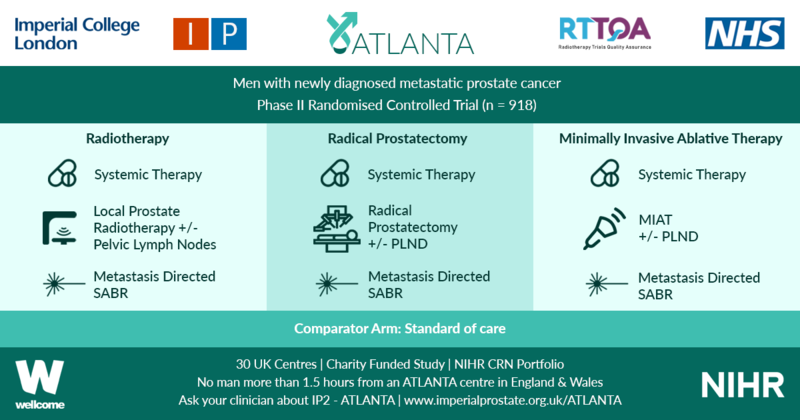 Specifically, our research paper looked at ProPublica’s ratings for only one procedure – results on radical prostatectomy (RP) for prostate cancer – and correlation to reporting by MUSIC, the Michigan Urological Surgery Improvement Collaborative. MUSIC is a state-specific quality initiative in the U.S. in which I am a participating surgeon. Participation in MUSIC is voluntary, over 85 percent of urologists in the State of Michigan participate in the collaborative. As our paper states, the recent release of the Surgeon Scorecard accelerated debate around the merits of publicly reporting surgical outcomes. Surgical outcomes assessment is not a new concept, even dating back to 1860 as this tweet by @mattbultitude surfaced. What does our community of urologists think about public reporting? Does greater transparency correlate with better outcomes? What are the benefits of a collaborative method like MUSIC? What methods are used in other parts of the world? The #urojc discussion found that many urologists outside the U.S. were not familiar with the ProPublica ratings or debate. Some were not surprised that we did not find a correlation between our MUSIC outcomes data and the ProPublica data, thereby validating the need for quality outcomes data. If the Surgeon Scorecard is flawed, what needs to be done to create an acceptable public reporting system? Is public reporting of surgical outcomes taking place in Australia, UK, Canada & elsewhere? How are ‘outliers’ identified by this study handled by MUSIC? Do ratings lead to cherry-picking of patients? According to New York cardiologist, Sandeep Jauhar, MD via Medscape, 63 percent of cardiac surgeons acknowledged accepting only relatively healthy patients for heart bypass surgery owing to report cards in New York State. On behalf of the authors of the paper and the entire MUSIC collaborative, I would like to thank our #urojc colleagues around the world for their thoughts, insights, criticisms and questions about the paper. The ProPublica Surgeon Scorecard has generated significant and serious discussion in the U.S. about the challenges and merits of the public reporting of surgical outcomes. In an increasingly connected world, it’s difficult to imagine how this can remain simply an American debate. Urologists by their very nature are leaders. Personally, I see this debate as yet another opportunity for us to develop and implement systems and strategies that reassure the public and advance patient care. Great post and discussion. The key philosophy in MUSIC is measuring to improve, and we emphasize feeding data back to the surgeons and encouraging them to share their specific outcomes with patients. Movember Foundation welcomes this great discussion around improving outcomes that matter to men. As a large global investor in clinical quality initiatives, we will only see significant improvement through collaboration between key stakeholders. Risk adjusted outcomes that matter to men is a fundamental requirement. We do not want to see a world where clinicians feel compelled to avoid complex cases through simplistic reporting mechanisms.